The much-beloved Martha&apos;s Vineyard catboat Vanity was repowered last winter at the Gannon & Benjamin Marine Railway in Vineyard Haven. Vanity, a 1923 21-foot Manuel Swartz Roberts wooden catboat, which once belonged to Oscar C. Pease of Edgartown, Mass., has been in the hands of the Martha&apos;s Vineyard Museum for more than a decade. Years ago, Oscar sailed Vanity around Edgartown. 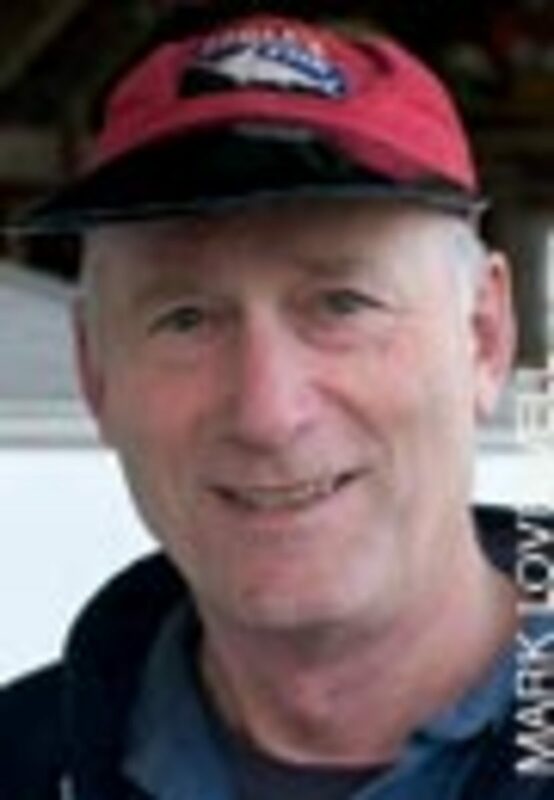 He was an avid Catboat Association member and a big supporter of the preservation of catboat stories and history. 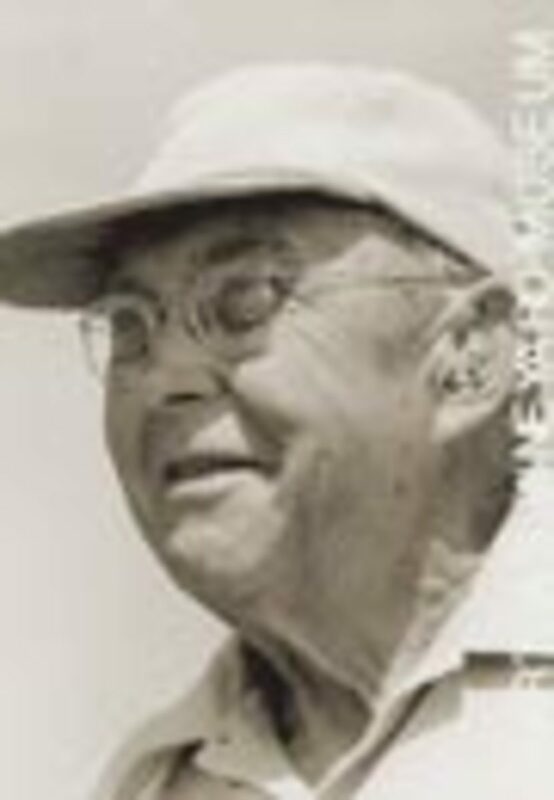 He died in 1995, leaving a great legacy of tales, insight and maritime lore with writers such as Stan Grayson, who featured him in his book "Catboats" (Devereux Books, 1996). I grew up knowing Oscar as neighbor to my grandmother, Elsie Lovewell. 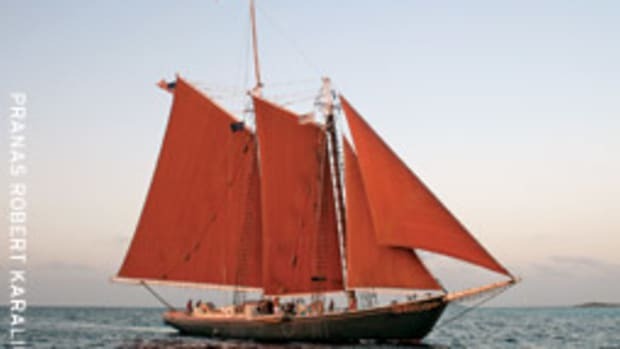 Vanity sailed in the summer, was used for harvesting bay scallops in the early part of the winter, and for much of the winter she sat in the backyard of Oscar and his wife, Nellie. 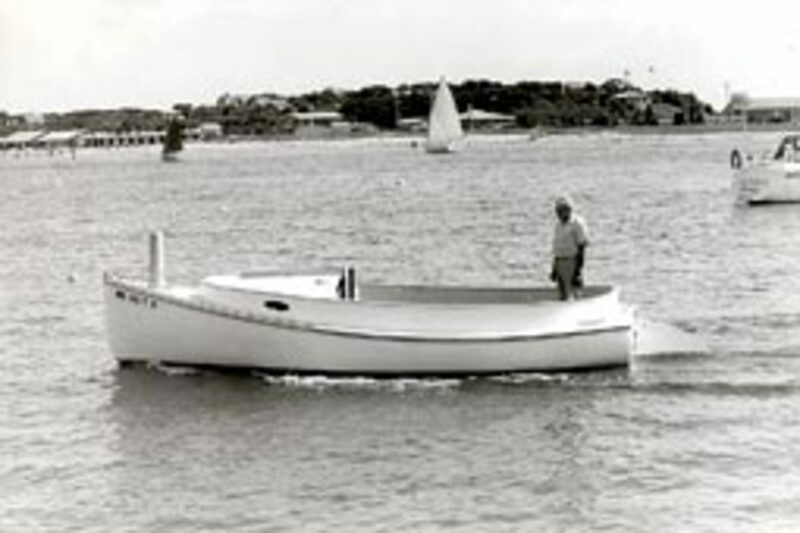 My father, John, remembers hearing Oscar&apos;s sander running in the late winter, obviously working on the boat to ready her for water in the spring. I have memories of visiting Oscar in his backyard in his shucking shack, preparing the day&apos;s harvest of bay scallops for market. Oscar and Nellie&apos;s house is long gone and the property now has a trophy house - but the boat lives on. Vanity is now the Martha&apos;s Vineyard Museum&apos;s only floating exhibit. 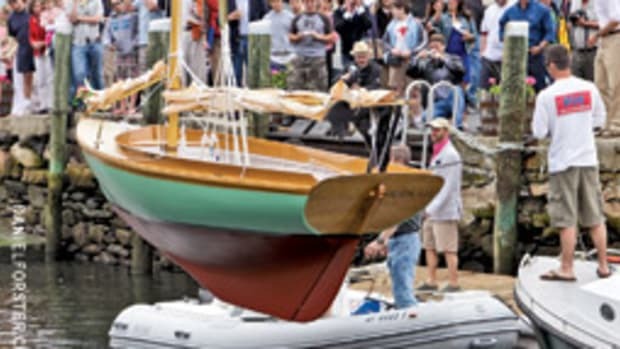 The repowering of the 81-year old catboat is a big event on the Edgartown waterfront. 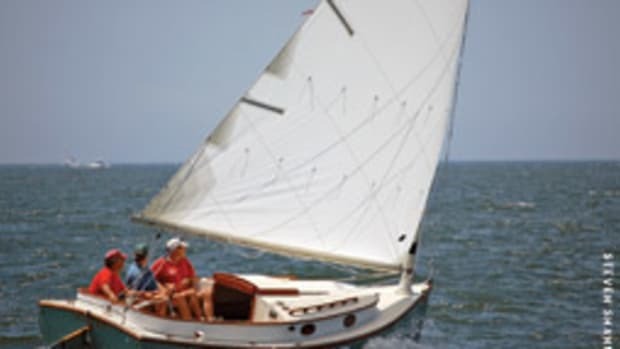 Her captain, Chris Murphy of Chilmark, Mass., is an avid catboat enthusiast and for the last two years sailed, sometimes, with the help of an auxiliary outboard attached to a bracket on the stern. 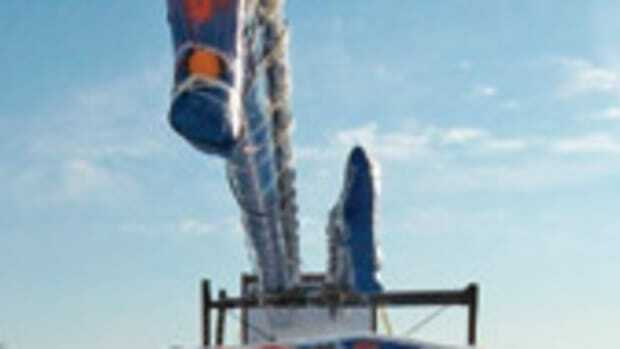 The outboard was not an ideal solution as it invited getting tangled with the mainsheet. Murphy said to me often that he preferred an inboard. Ten years ago, Vanity was considerably rebuilt at the Gannon & Benjamin boatyard. The intent back then was to make her as shipshape as possible with the limited funds donated to the museum for the work. Nat Benjamin of the boatyard, who oversaw this winter&apos;s work, says repowering her was a challenge because they couldn&apos;t do it the way she was originally built. 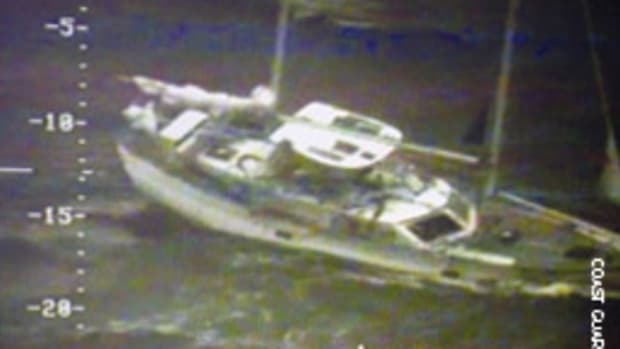 "When we rebuilt this boat, we were told it would never have an engine," Benjamin says. "So there was no shaft log involved, which is unfortunate, because it meant you can&apos;t put the engine down the centerline." The new bright-red, 14-hp, 2-cylinder Beta diesel engine was installed off-center, in the portside fish well. "It fits there nicely," Benjamin says. "The shaft is offset, but it is angled toward the centerline. So at the stern post, we fabricated a housing for the cutless bearing that passes right through the stern post. And then we cut an aperture in the rudder." The actual installation was completed by Bill Benns, a veteran shipwright who has been working at the boatyard for four years, but originally worked as a shipwright at the Chesapeake Bay Maritime Museum in St. Michaels, Md. "I like working on boats that have a purpose," Benns says. "You know when you work on a boat like this it is all going to matter. That is why I like projects for museums. Vanity is for enjoyment and education." "This is perhaps the Martha&apos;s Vineyard Museum&apos;s finest ambassador," Benjamin says. "So this boat has to show up on time and take people out sailing with Capt. Murphy at the helm. When the wind is light or adverse, people want to get home. He can crank up the diesel and get them there." In addition, the boatyard gave the sailboat a general overhaul. "We did some rigging work, repairs. We patched her up and gave a good sanding and painting," Benjamin says. Steps were added on the stern, so passengers could swim and easily get back in the boat. Even the tabernacle for the boom has a new shaft. Capt. Murphy is delighted about the work done. "She&apos;ll be a lot better, too. Diesel is a lot safer than the gasoline engines she had before." For more than 30 years Murphy worked as a commercial fisherman out of Menemsha Harbor and he sees Vanity as an important connection for him and the community. "To me, Vanity is a direct tie to the history of Martha&apos;s Vineyard and the history of fishing. I knew Oscar Pease and when I was a kid there were quite a lot of catboats around." "It is a pleasure, honest to God, every single time I sail her. She is a significant sailboat and sails beautifully. She practically sails herself," Murphy says. The funds to repower Vanity came from an anonymous donation. 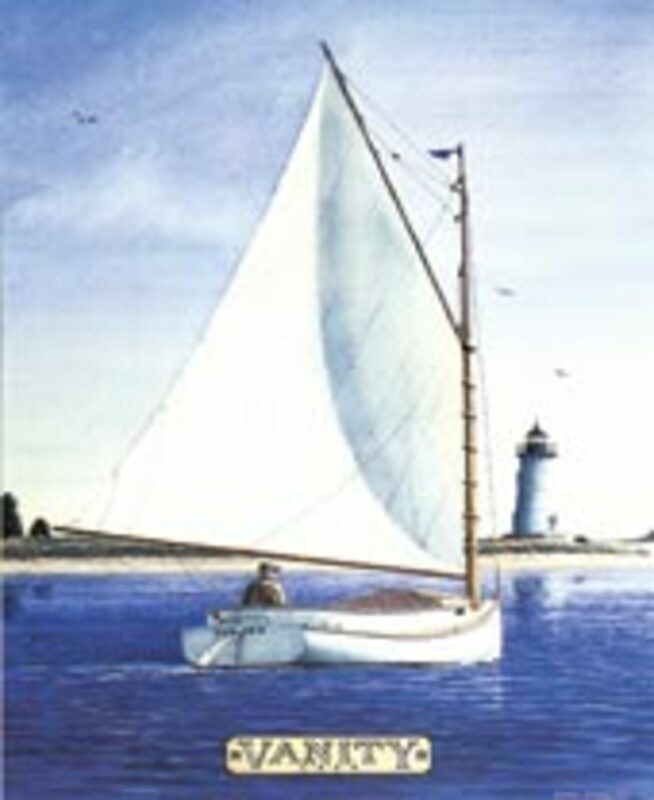 Contributions toward ongoing maintenance and care can be sent to the Martha&apos;s Vineyard Museum, P.O. Box 1310, Edgartown, MA 02539. Mention the contribution is specifically for Vanity.